Romitaman Original Comic Book Art :: Private Collection :: Marvel Secret Wars HUGE Promo Poster Art! (33 Heroes & Villains!) SOLD SOLD SOLD! by artist John Romita Sr. Check out this very cool, VERY LARGE poster sized original art pinup which was penciled by the great and inked by the great JOHN ROMITA SR! 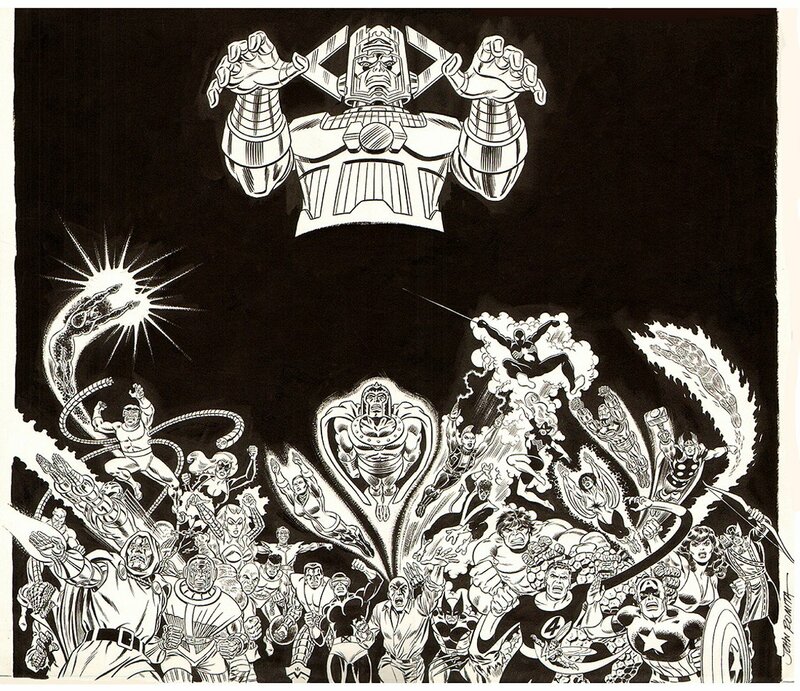 This INCREDIBLY detailed art features EVERY SINGLE MAJOR HERO and VILLAIN WHO APPEARED in the SECRET WARS! 33 HEROES AND VILLAINS on this stunning piece right here! Where else are you going to find a single piece of art with 33 MARVEL HEROES AND VILLAINS on it drawn to such perfection by one of the GREATEST MARVEL ARTISTS to EVER LAY INK TO ART BOARD? "WOW" is the ONLY word to describe this stunning piece right here! Art has an actual DRAWN image area measuring a whopping 19.5 by 16.75 inches on a larger board! ALL HIGH end pieces of art, including this one, are able to be purchased with VERY fair time payment plan options, and trades are always considered towards this and any other pieces of art on my site here! Just send me an email and we can try to work something out.